Welcome to the Blue Workshop website. 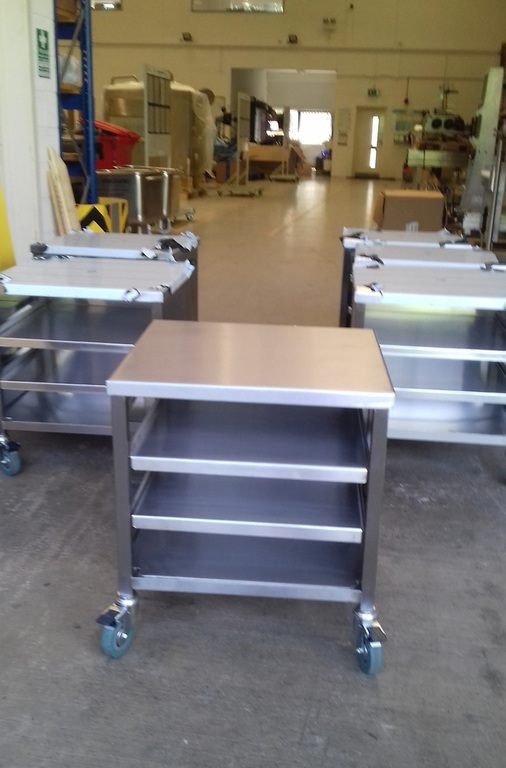 We manufacture a range of stainless steel preparing, storing and serving equipment for trade and school kitchens including: Trolleys, Tables, Sinks, Cupboards, Shelves and Racks. 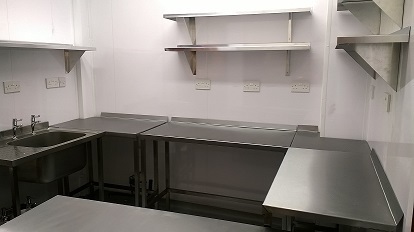 Small kitchen schemes are our speciality; we have over 25 years' experience designing kitchens and advising how to get the best out of limited space. We can help you make the most out of what you already have by utilising every nook and cranny. 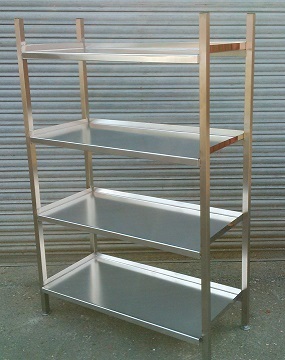 We work closely with schools and have designed a unique range of stainless steel trolleys especially for school kitchens. We also offer a fabrication repair service and a no obligation free site visit and design sketch service - why not try us out? Click the tabs above for more information on our range of products.